Whippin' Up a Sweet Hello! Hello! I have a special card to share with you today, because the Taylored Expressions DT had a chance to play with some new goodies from Doodlebug! I JUMPED at the chance because I just adore their dp!!! They sent me the awesome Take Note Essentials Set, and Taylor carries the Take Note 6x6 paper pad in the store HERE. As soon as I saw that fun sticker that says "menu" I knew I wanted to pair it with this darling Cuppie from the TE Cuppie in the Kitchen set! I layered Cuppie and the menu sticker on top of a frame I cut with the Label Stacklets 3 Dies. I stamped the sentiment onto a banner I cut with the Banner Stacklets 1 Dies and added some red brads. I also added a border with the Open Scallop Border Die. If you'd like to see more awesome inspiration using more fabulous Doodlebug dp, make sure you check out Taylors Blog! She showcased some projects yesterday and has more today! This is so beautiful card. 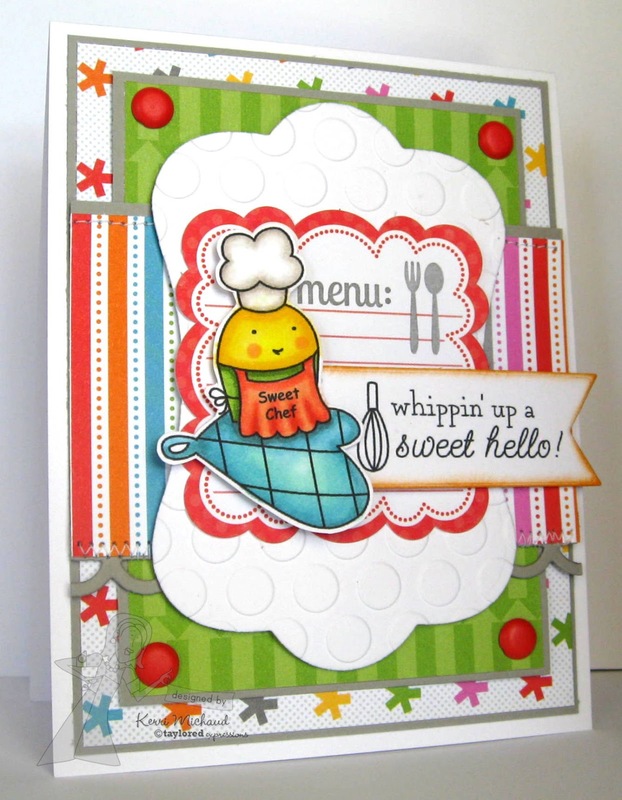 Your card is adorable, Kerri! 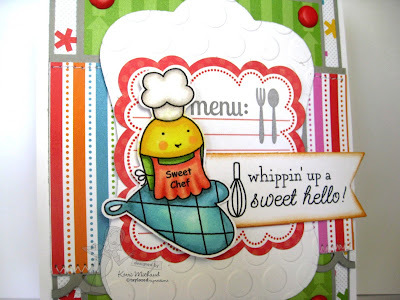 Love the sweet Cuppie on the oven mitt!